There are several ways that Page Ahead measures the results of its Book Up Summer and Story Leader programs. Using hard and soft data, Page Ahead constantly evaluates results from school test scores on reading, as well as parent and teacher surveys, to ensure that programs are efficient and effective. 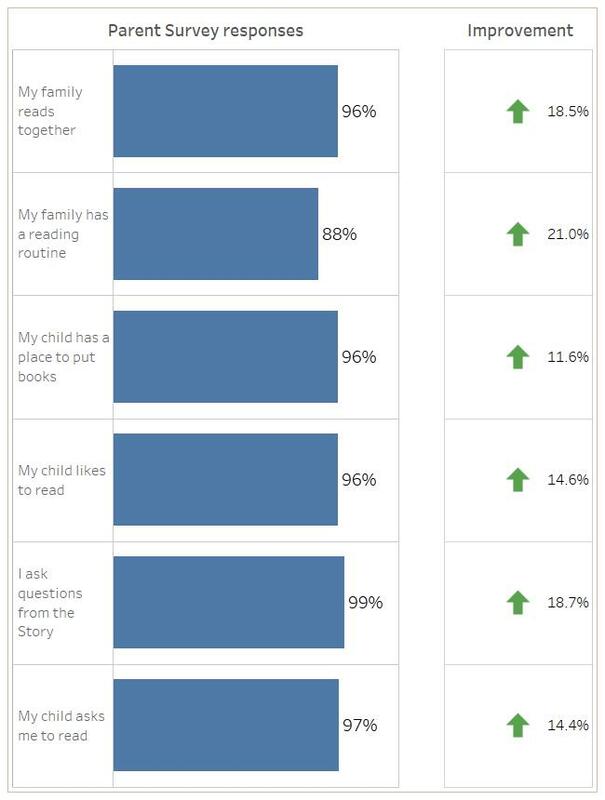 Every year data is collected from all Page Ahead program sites to determine whether children show a heightened interest in reading, involve their parents in reading activities at home, borrow more books from the library, and show improved vocabulary and writing skills. In addition, Page Ahead monitors trends in reading and writing abilities among students across the State. We have compiled data from the past three years of parent survey responses. This is their response at the end of the school year, after their children have received the program. Anecdotal evidence also helps us to determine the results of our work. Letters from teachers help Page Ahead determine the effectiveness of its books and literacy services. Parents have told us how meaningful and valuable it is for their children to have received books from Page Ahead. Children who receive books from Page Ahead send cards, letters, and drawings of thanks. Comments and awards from civic leaders and organizations help Page Ahead assess its standing and effectiveness in the community. Are you interested in bringing Book Up Summer to your school? Contact us to learn more about this process. Make a gift to support summer reading today!